(West Palm Beach, Florida) It's graduation season, and we've been helping schools across North America celebrate the advancement of degrees to their graduates. Public events require accessibility options, and while we've always been a huge fan of our ADA Lift Rental for accessing stages, viewing platforms and other raised areas of an event, we wanted to let you know we also offer completely custom ADA-compliant ramp rental. An ADA Ramp is an inclined plane installed in addition to or instead of stairs. 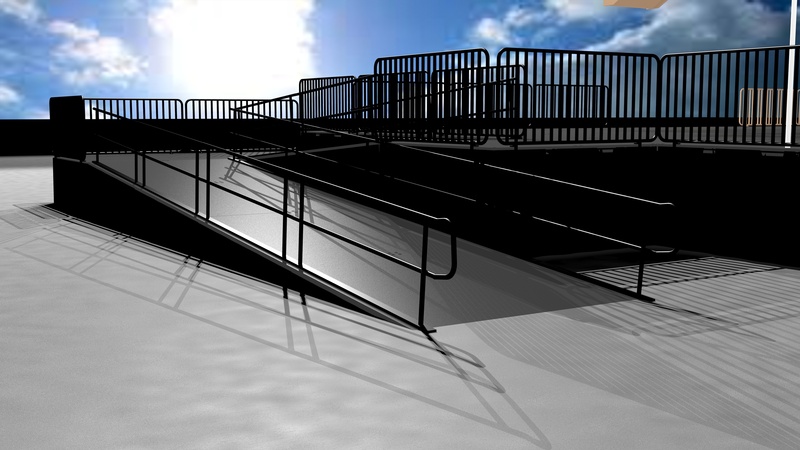 Ramps permit wheelchair users, as well as people pushing strollers, carts or other wheeled objects, ease of access.